• Power Pulses by Tami Hardeman is published by DK, out 1 March 2017, £16.99. 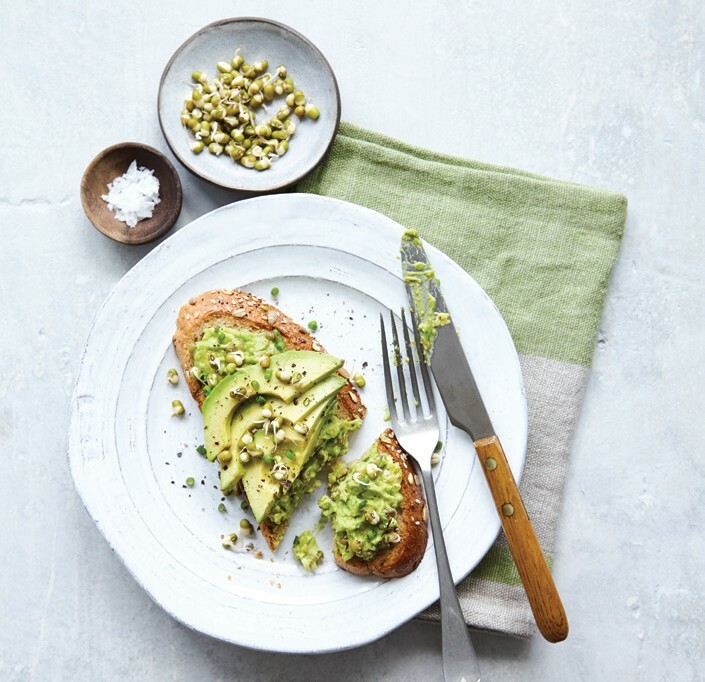 Sprouts and mung beans elevate avocado toast to the next level of tasty. The hint of curry flavour adds extra depth to the creamy, smooth avocado. Throughout history, food has been considered more than just nutrition. It brings people together, and can represent your culture, values, and ethics. As we have become more globalised, so too has our access to different cuisines. With this in mind, we like to try and visit food from all over the world, and this issue is no different. There are few things more satisfying than preparing delicious platefuls of vegan delicacies to share with friends and family. That’s why we’ve put together a special feature on how to prepare perfect sushi and onigiri. While you may immediately think of raw fish when you think of this type of cuisine, rest assured – anything that can be cooked, can be cooked vegan. When you cut animal proteins from your diet, an excellent go-to is pulses. From lentils to chickpeas and beyond, these perfect little packages are not only nutritious, but tasty too. We give you the full lowdown – as well as some recipe inspiration too. Angela Liddon burst into the blogosphere several years ago, winning immediate praise for her charming style, and brilliant plant-based recipes. Now she’s releasing her second book, she sat down with Cook Vegan, to share her thoughts on food, health, and more. Our essential guide this issue is all about textured vegetable protein. Also known as TVP, this retro classic has earned its place on veggie tables nationwide, so we decided to tell you all about it - as well as throwing in a few recipes so you can give cooking it a go. Cooks who want to try their hand at prepping some French cuisine are in luck too. 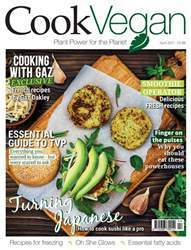 Chef and Instagrammer Gaz Oakley has put together some delicious exclusive recipes just for Cook Vegan readers. While these dishes look great and will certainly make a fantastic impression on your taste buds, they are easy to put together, and use ingredients you can easily buy anywhere.